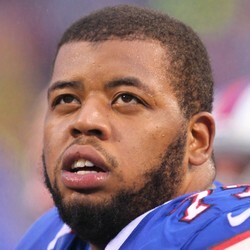 According to NFL Insider Adam Caplan, the Bengals have acquired offensive tackle Cordy Glenn in a trade with the Bills. In order to get it done the Bengals reportedly swapped first-round picks with the Bills, moving from No. 12 to No. 21 or No. 22 (unsure of which one). Coming into the NFL Draft, the Bengals were more than likely to draft two offensive lineman within the first two days, though this takes a huge load off. Glenn was playing at a Pro Bowl level with the Bills until 2017 when his health seemed to be a constant issue. If he's healthy, the Bengals got themselves a long-term solution at left tackle, seeing he's just 28 years old. Glenn signed a five-year, $60 million deal with the Bills in 2016. This is a massive deal for the Bengals and their skill-position players.